"While in Hawaii over two weeks ago, Dutch moombahton DJ/producer (and former Bubblin' subject) Munchi suffered a seizure caused by an intracerebral hemorrhage that hit the artist completely out of nowhere. He was subsequently rushed to the hospital, where he spent nine hours in a coma and 11 days in recovery. With medical, travel, and prescription bills piling up, a few of Munchi's DJ compatriots—Dave Nada, DJ Ayres and Tittsworth—decided to help. Vowing to match all donations, the trio set up a Help Munchi page on GiveLoop, and the money, much of it coming from the DJ community, quickly began to trickle in. Amazingly, many of the goals set early on have been met, but most of those estimates were overly conservative and help is very much still needed. Donations are still being accepted, and if you're looking to help out, we suggest giving to the General Donation category, so funds can be distributed to the necessary areas at will." 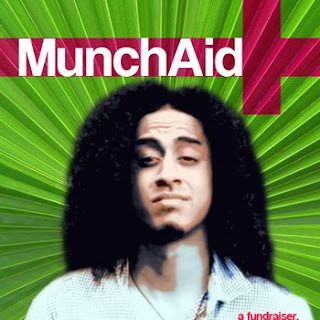 Now - go to MunchAid and help out!